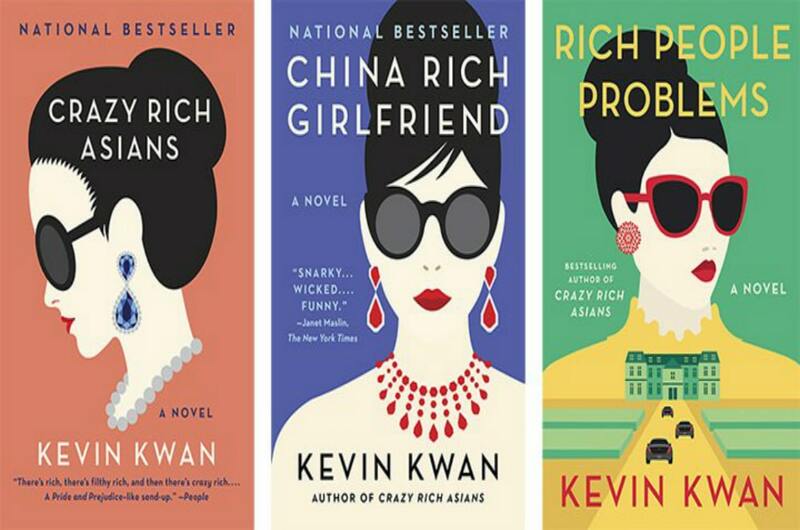 Crazy Rich Asians – Read the Trilogy! I just finished reading the Crazy Rich Asians trilogy by Kevin Kwan which consists of Crazy Rich Asians, China Rich Girlfriend and Rich People Problems. As one of Kwan’s characters might describe it: Tons. Of. Fun. The trilogy is a smart, super sophisticated three-issue version of Us Weekly. First, you get pages and pages of visual images of out-of-this-world fashionistas, over-the-top properties, jet setting, and parties attended by the .0001% one of which receives the comment from an attendee: “Hashtag madamefuckingpompadour.” And always the money flowing. 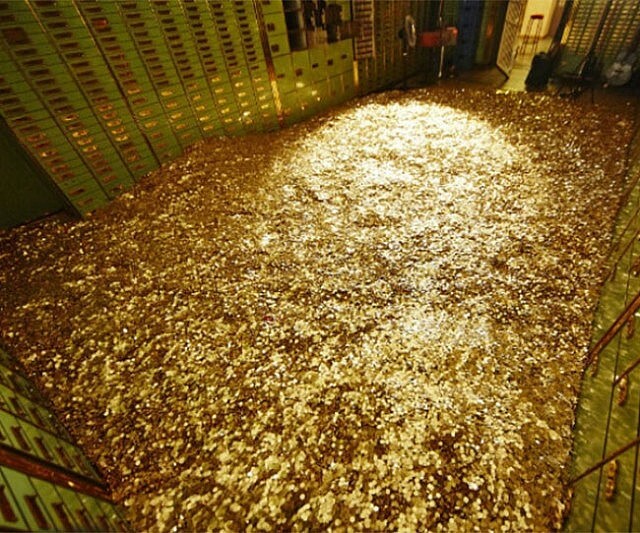 The title image for this blog is of a pool of gold coins in a Swiss bank vault – that you can actually swim in. The crazy rich characters in Kwan’s stories way out-Scrooge-McDuck diving into his pool of money. These cray cray Asians have oceans of it. At the same time, the characters have many Us Weekly: Stars – They’re Just Like Us moments. They have insecurities, tragic pasts, over-bearing parents, crappy children, fair-weather friends and social climbing ambitions (although theirs are way beyond any of ours, theirs being of the most stratospheric sort). They fall in love, out of love, betray and are betrayed. They want more, more, more … and some of them want less and a shot at an authentic love and life. The main action centers in Singapore, but London, Shanghai, Paris, New York and Los Angeles are also in the picture. Kwan himself is from Singapore and was educated at a hoity-toity school (as he acknowledges in a footnote), and even if he isn’t crazy rich himself (or maybe he is now) he speaks the language of money fluently, along with the other languages floating in and through Singaporean English: Cantonese, Mandarin, Hokkien and Malay. The language mixing alone was a delight. Kwan’s characters are completely conversant with the hottest pop stars, musicians, artists, writers, and celebrity chefs on the planet, not to mention royals be they British or Thai. They know the most elite schools, hotels, and resorts. 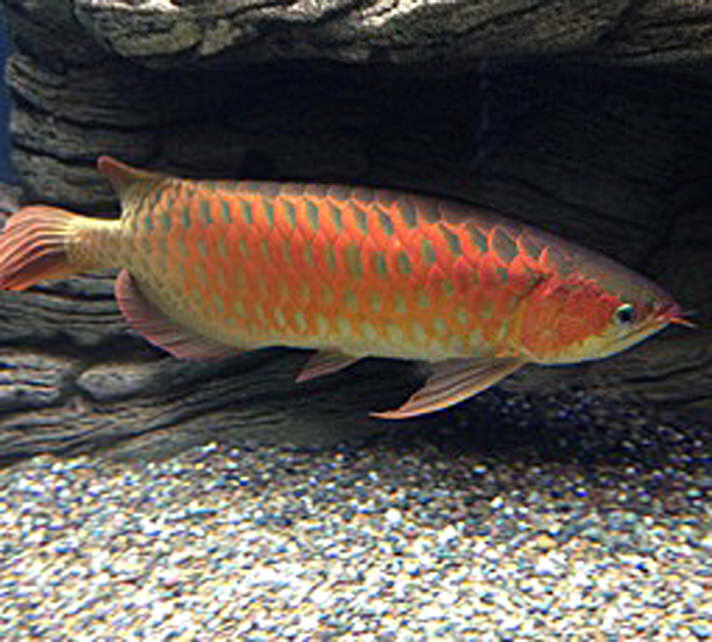 They knows the absolute best of everything money can buy, right down to the world’s most expensive aquarium fish, the arowana. … and then I suddenly realized that while Asian factories pour out schmatta for the world’s masses, Western European high-end designers clothe Asia’s elite – a startling asymmetry I had never before considered. Concern for social status is at the core of the series, and Kwan’s observations are razor sharp. In the middle of the second book – pride of place, of a sort – is the 20-page Ko-Tung Consulting Group Social Assessment prepared for one of the central characters who craves social status. The sheer pile up of information led to two laugh-out-loud moments for me, one under the rubric Spiritual Life and another under Reading List. Totally worth the price of the entire trilogy. 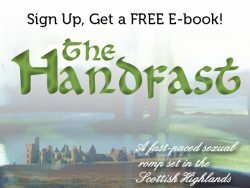 Another passage worth the price occurs in the third book. A minor character, a woman who is a member of Asia’s jet set, has an innate radar for OAWS – Other Asians in Western Settings. When she encounters an OAWS their face is run through the ten-point social-placement scanner in her brain. The entire passage is an absolute scream. Snobbery with respect to all things American is in evidence. Note: Singapore has a population of 5.6 million and a square-mile area greater than Manhattan but less than the five boroughs put together, while the US has a population of 325 million and quite a few more square miles. These discrepancies do not prevent characters from making direct comparisons between the two countries. Furthermore, Stanford is a two-bit school, the New York Stock Exchange is a soda pop stand compared to the Shanghai stock exchange, Las Vegas brings in chump change compared to Macau, JFK looks like Mogadishu compared to the Singapore airport (actually, a not crazy rich character says that), Air Force One looks like a sardine can compared to the Boeing 747 of China’s 5th richest man, and so on. I get that crazy rich Asians think Americans are commoners. I’ll simply note: Yeah, that’s the point. As a tax payer I’d be righteously pissed off if Air Force One was tricked out with a koi pond, among other luxuries. Asia has a long history of rulers with lavish lifestyles. Kwan serves us up the current world of their billionaire elites on a sterling silver platter (or whatever the current ‘it’ precious metal is). The love story between Rachel, a Mainland Chinese-born Asian American, and Nick, who sits at the tippy top of the Singapore social hierarchy, anchors the story line. Together they function like the straight-man Jason Bateman character in Arrested Development, voices of sanity in the midst of off-the-chain tragicomedy. An all around great read.